Planning for the future is something many people are not really keen about. For many people, procrastination is their habit always saying that they will start saving and planning tomorrow. The most unfortunate part is that the tomorrow comes and passes. Years and even decades pass without realization. The result is that retirement and even emergencies come and people are not prepared for these eventualities. Situations such a young age and tough economic times blur the need to prepare for the future. In such times, people are bound to live in the present and in the struggle to make ends meet. The last thing in their minds is the tomorrow which will seemingly never come. Unexpected things are bound to happen. People prefer not to dwell on such thoughts which are considered unhappy and not peaceful. Even though it is not healthy to dwell on the negatives, the acknowledgment that health issues, injuries and other setbacks may happen goes a long way in planning for the future. Injuries happen every day and it is only advisable that you should have a plan that covers long term disability. Remember that one in seven people in long term healthcare facilities are below 65 years. Furthermore, findings from the Centers for Medicare and Medicaid Services that indicate a 22 percent rise in the number of under-65 nursing home residents over the past eight years. Very few people have invested their money wisely. This is as a result of the lack of training or classes on long term investments. 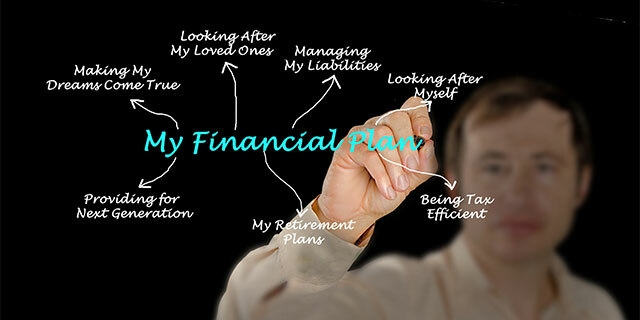 People simply leave college to their careers and then find a financial planner to take care of their financial lives. The majority of people will end up putting their money at risk. These people may end up losing the principal owing to the fact that the investments may be wholly in the stock market and in variable annuities. Find other investment options which have a lesser risk and better returns. Other documents include a guardianship for young children, and long term care insurance to act as a hedge to your assets which are not spent up paying for the expenses. Long term care insurance also helps to maintain your quality of life and you can live at home with in-home care and not have to go to a nursing home. The ideal time to start saving is as early as in the 20s and 30s. However, this is not the case in the absence of a saving culture and as economic times become tough. It is emphasized that saving anything as little as a dollar puts an individual on the right path. The earlier the saving habit is developed, the better the outcome. With the habit of saving a percentage of your income no matter the circumstances, savings definitely grow as income continues to increase. It is certainly about time to start building financial reserves. Kris Miller, Estate Planning Expert and Safe Money Strategist, will guide you on how you can successfully prepare your retirement plan. For more information on how Kris can help you, call (951) 926-4158 or email Kris@healthymoneyhappylife.com and see her #1 Best Selling book at Healthy Money Happy Life.